Join us in Rascals HQ tonight for our Season Kickoff event with Harry Kenny and members of the first team squad in attendance. Just 9 days from our opening SSE Airtricity league fixture against Cork City, new manager Harry Kenny, Director of Football Ger O'Brien and members of the first team squad will take part in a Q&A with supporters at our new Man of the Match sponsors, Rascals Brewery. 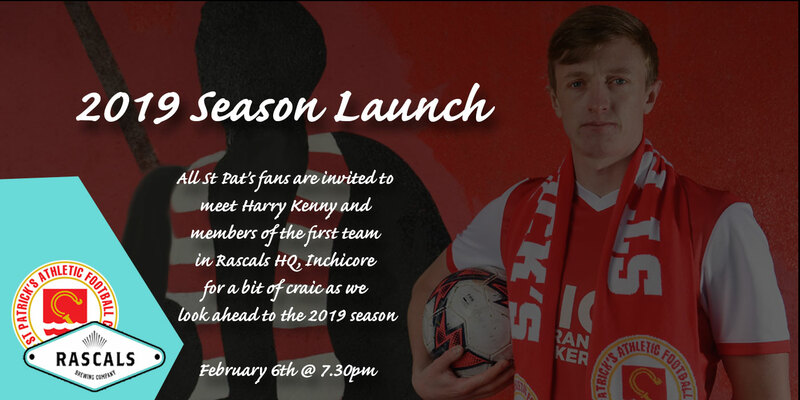 Delighted to host @stpatsfc 2019 Season Launch at Rascals HQ. Harry Kenny and the lads will be here for an evening of craic, pizza and maybe a beer or two. Come join us!